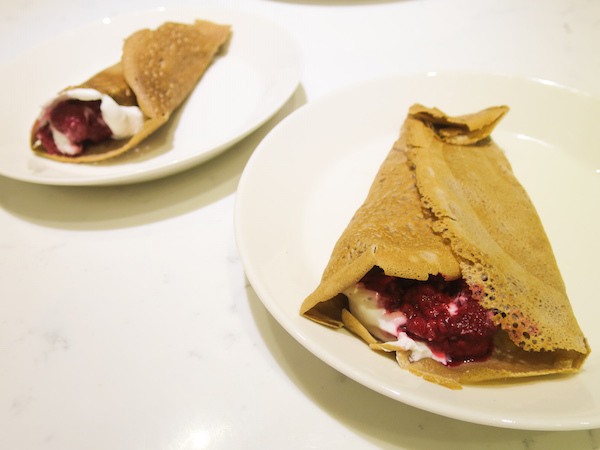 Back to basics, crepes – the thinner and lighter version of pancakes. I actually make all my crepes batters sugar free but added some chocolate flavour in these by using unsweetened cocoa powder. 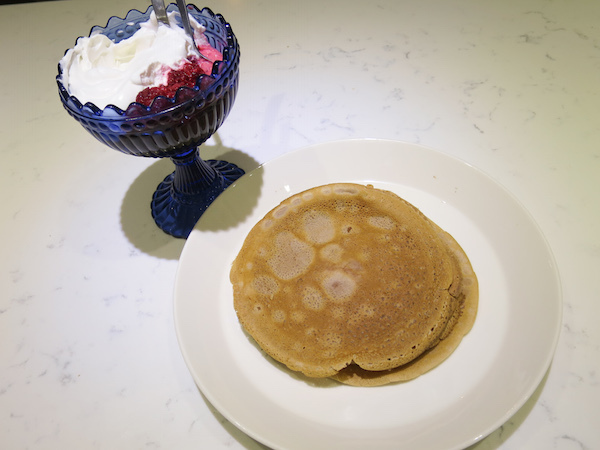 They taste delicious with whipped cream flavoured with vanilla bean and sweetened with spoonful of granulated stevia, served with raspberries. 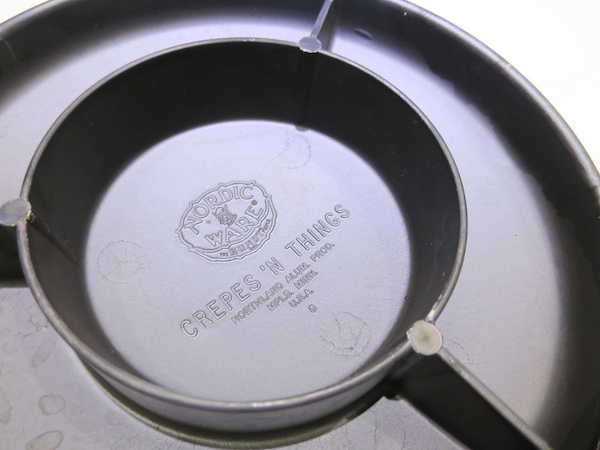 Now let me tell you about this amazing crepes pan I recently got as a present, the Crepes ‘N Things Pan. 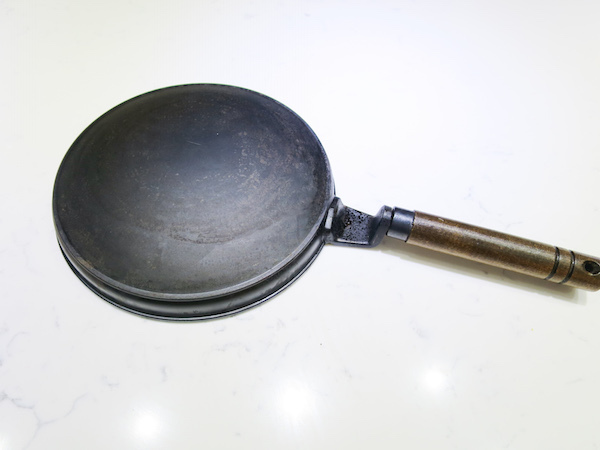 What’s special about this pan is that the surface of the pan is convex. 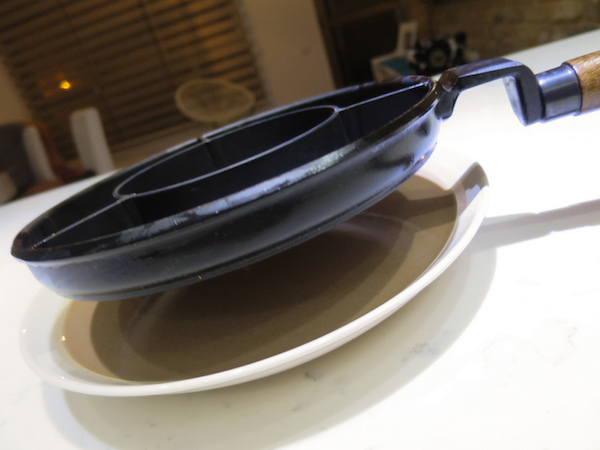 Where flat pans require pouring batter in middle and swirling to spread evenly to coat it, this pan must be dipped into a concave dish with the diameter bigger than the pan to hold the batter. 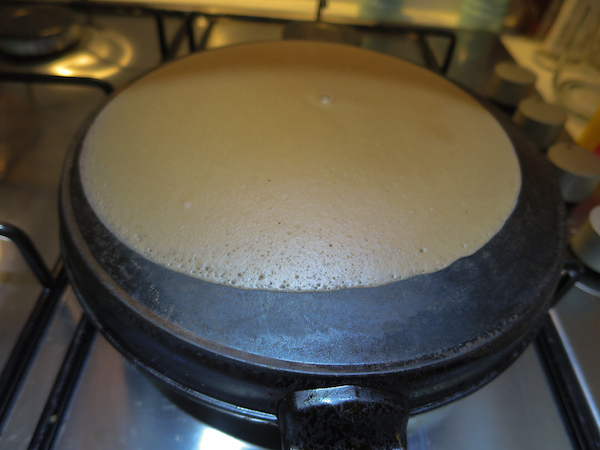 You start by heating your pan over medium heat, I found brushing a tiny bit of oil on top before the first one helps to ensure the crepes won’t stick. 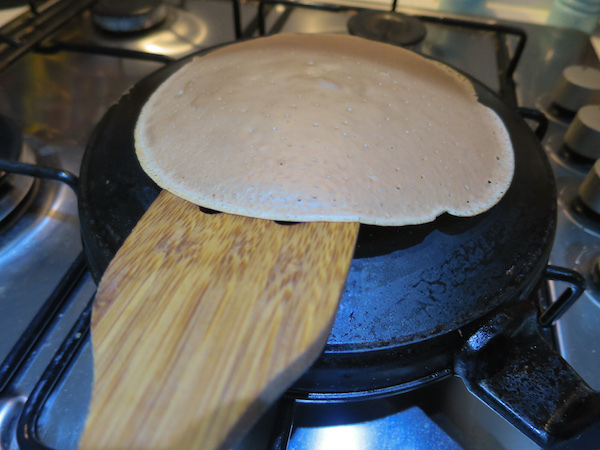 The secret for perfectly thin crepes is to dip the hot pan straight into the batter and hold it there for a second and lifting it straight up holding upside down for another second before turning over. Place the pan back on the stove and cook for 30 seconds. Then carefully flip it around and cook for another 15 seconds. 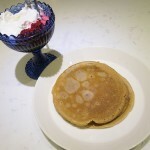 Repeat until you have used all the batter and serve with your favourite fillings. 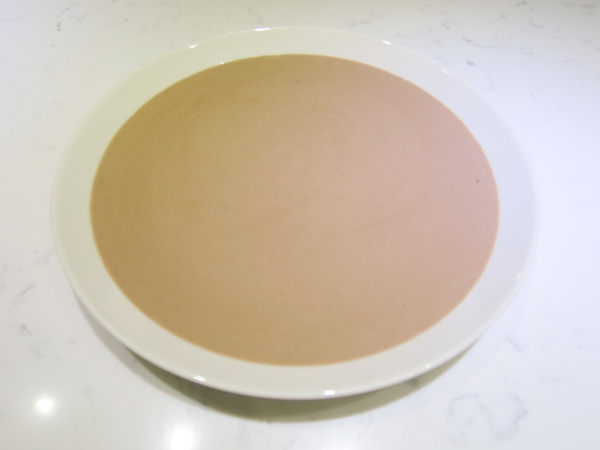 In a mixing bowl combine all ingredients and whisk until incorporated and smooth. Place in refrigerator and allow to rest 1-2 hours before cooking. Heat a non-stick pan or your crepes maker, add butter if needed and cook for 30 seconds then flip it around and cook for another 15 seconds and remove to a plate. Repeat until your batter runs out.